Nancy Drew Sleuths is an organization of Nancy Drew collectors, fans and scholars, established on April 10, 2000 for the purpose of fostering the enduring legacy of Nancy Drew. We achieve this in part by holding annual convention(s) in which fans can follow in Nancy Drew's footsteps in real life locations where some of the books have been set, through our donations to libraries of Nancy Drew books for today's generation to discover Nancy Drew mysteries and be inspired and thrilled as many of us were as kids, and through online discussion and social media. 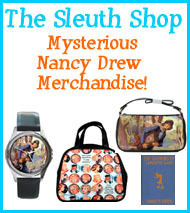 We began as an online discussion group and grew into much more with annual conventions, Officially licensed Nancy Drew merchandise, Nancy Drew Book Club, and our Nancy Drew zine, The Sleuth. We are an organization for both casual and advanced collectors, fans and scholars. If you're on Facebook--click on the facebook logo at right. Join our Nancy Drew Fans Facebook Discussion Group too. And follow us on Twitter: NancyDrewFans and Pinterest. 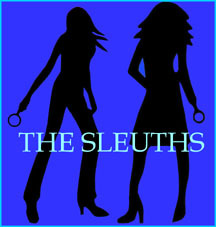 Please e-mail (sleuths@ndsleuths.com) with any questions or inquiries you may have. The Nancy Drew Sleuths is an organization for the collector and scholar--we're mostly an adult group (20s to 50s+), so we recommend kids join the Jr. Detective Squad club we offer! It's for kids under 18. 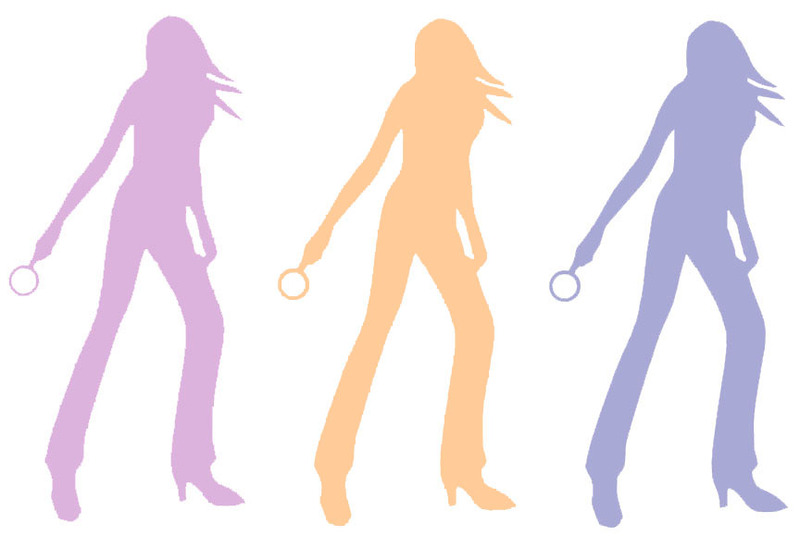 Within our Nancy Drew Sleuths organization, we focus on series books and Nancy Drew through our online discussion group, social media, our website, and our annual conventions. 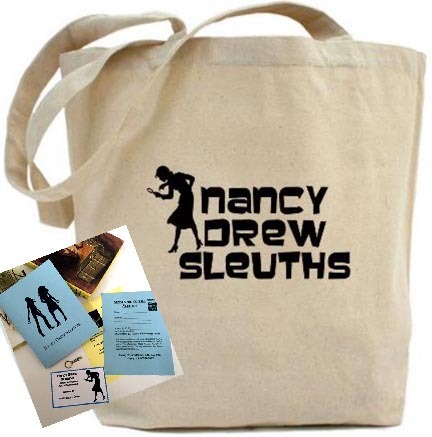 At annual conventions, our Charity Raffles for great Nancy Drew prizes benefit area libraries. 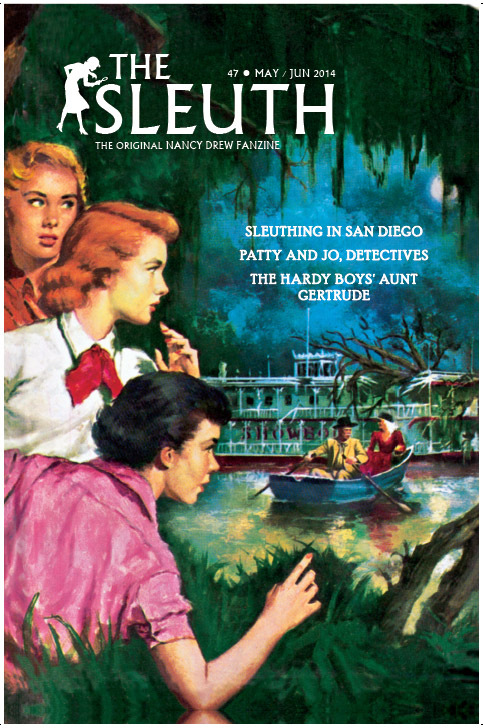 Published six times per year, our series zine, The Sleuth, focuses on Nancy Drew as well as other vintage girls' and boys' series books. on Square Market You may purchase your lifetime membership here at the website by clicking on the above button - to check out and order the membership kit at our Nancy Drew Square Shop. PLEASE NOTE: IF YOU SUBSCRIBE ONLINE USING THE SQUARE BUTTON: Please E-mail us at sleuths@ndsleuths.com if you need to specify anyone specifically for the membership card--otherwise, the ship to name/address used with the payment, will be the name/address used for the cart and kit. Click here for a PDF printer friendly form you can print, fill out with your member contact information, and send in. Copyright © 2000-2016 by Nancy Drew Sleuths. All Rights Reserved. Nancy Drew® and the Hardy Boys® are registered trademarks of Simon & Schuster, Inc. All rights reserved. This site is neither affiliated with nor endorsed by Simon & Schuster, Inc. Any of Simon & Schuster's Copyright material appearing on this site complies with fair or acceptable use principles established in U.S. and International coypright law for the purpose of review, study, criticism, or news reporting.